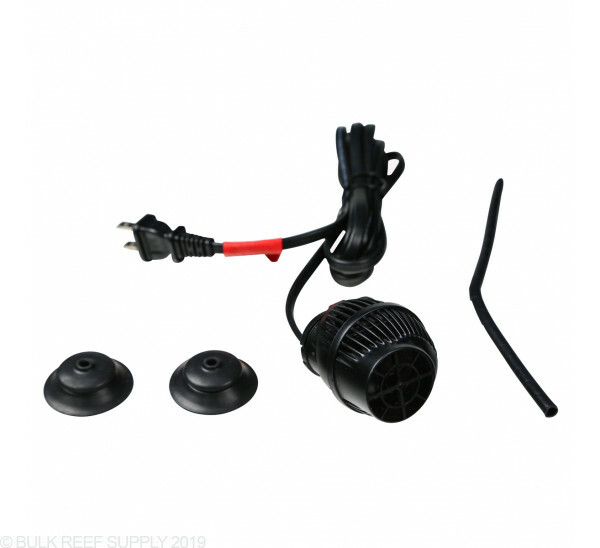 Powerful, small, and affordable powerheads for smaller tanks. 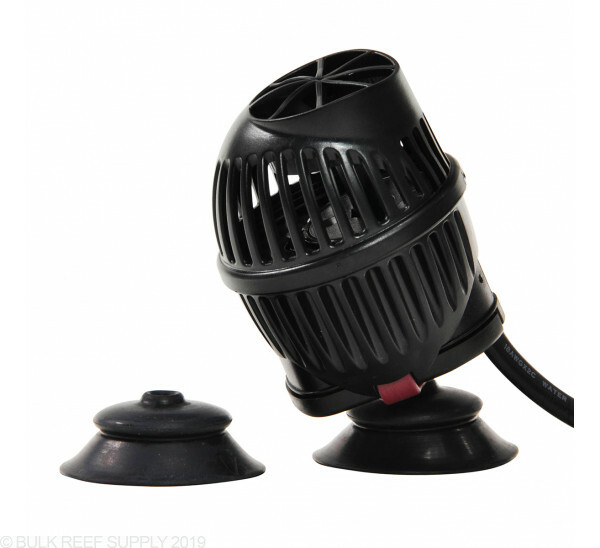 Super compact design without comprising efficiency and adjustable flow direction. Koralia Nano 565 – best suits a marine tank from 20-40 gallons. I bought two of the 565 with the wave maker this set up is awesome especially for the price!!! I bought two of these to do ttm with some fish. I have a handful of the smaller pumps, a couple of which have been in action for a year or so. No problems. Compact, quite and powerful. No problems. The pump arrived missing a bushing, didn't work at all. It was 7 days before I could get any support from the manufacturer. I finally got tired of it and bought another brand locally. When the manufacturer did responded there was more time wasted with photos and shipping the part. 13 days after I received the original pump I got my part. A part that didn't fix a thing. Upon closer examination there is a small chunk of the potted plastic that's used to seal the motor in the hole where the bushing goes, the bushing won't go in the hole. I can't pick the plastic out. The moral to this story. Nobody really stepped up to make this right, but I got a better pump locally for twice the money, ouch. $32 for a little pump, I guess it was a bargain, right? Works fairly well in my 13 gallon. The flow seems pretty concentrated, not spread out. I cut a few pieces off the front cover and it works much better. Solid product, and great customer service from Hydor if anything breaks. The pump arrived missing a bushing, didn't work at all. It was 7 days before I could get any support from the manufacturer. I finally got tired of it and bought another brand locally. When the manufacturer did responded there was more time wasted with photos and shipping the part. 13 days after I received the original pump I got my part. A part that didn't fix a thing. Upon closer examination there is a small chunk of the potted plastic that's used to seal the motor in the hole where the bushing goes, the bushing won't go in the hole. I can't pick the plastic out. The moral to this story. Nobody really stepped up to make this right, but I got a better pump locally for twice the money, ouch. $20 for a little pump, I guess it was a bargain, right? These little pumps work great. I use it in a small frag tank. I bought two of these for my 48 gallon bow front tank. I have one on each side aimed towards the bow of the tank. I am quite impressed on how much flow is produced. In the future I am going to get a wave maker module and try them out with that. Nice little pump if you don't need to push water very far or hard. In a 10-20 gallon tank they're probably just right. But I have 2 of them in a 28g cube (21" on a side) and the flow doesn't get all the way across. I either need 1-2 more of the 240s or an upgrade to the next model up. Haven't owned them for very long so I can't speak to their longterm reliability, but I've had good experiences with Koralia PHs in the past. I own three of these. 2 in a 15 gallon Nano and 1 in my first chamber of a 20 gallon refugium. Suction cup magnets so you do not have to worry about it detaching from glass/acrylic. Great water flow for its size. They get the job done plain and simple. They don't take up a lot of space. First I'd like to say for the pump does its job for being so inexpensive, how ever i highly doubt they provide anywhere near the claimed GPH. But they do well in tanks that are not that long or deep since they cant push water far at all. I had a 425 in a 4 gallon pico tank and it was much weaker than I thought it would be but perfect for the tank anyways since at 425 GPH it would have been over 100x turnover. If you are in the market for a koralia 565 I'd save a few more pennies and buy a jebao RW4 instead.